Aubin’s range of high quality and reliable chemicals are born in our state-of-the-art laboratory and manufactured in our UK and UAE partner facilities for quick delivery and availability around the globe. Our manufacturing facilities operate under the strictest quality control to ensure the highest standards as per our integrated management systems (ISO 9001, ISO 14001 and ISO 18001). The suite of equipment includes an automatic fluids blending and drumming facility with four stainless steel blenders mounted on calibrated load cells capable of blending up to 20,000 kgs. A series of heat exchangers allows fluids to be mixed at a controlled rate and cooled. 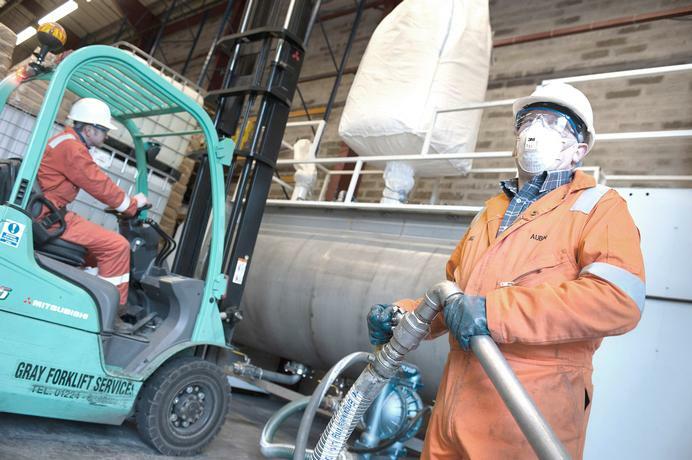 A modern powder blending facility has the capability to blend and sack powdered materials. We will analyse your issue and develop the best-fit chemical solutions and materials technology to meet your needs. For more information on our manufacturing capabilities, please contact us.